I don’t know if all writers are like me, but when I send a book off for review I immediately assume that the reviewer is going to hate it, even though other readers have loved it. Just the fact that the person is an official reviewer makes me break out in a cold sweat.So when I was contacted by the Historical Novel Society last week with the news that a review of my latest book was being published in the November issue of the HNS magazine, I had to screw up my courage to click on the link. I was so relieved. 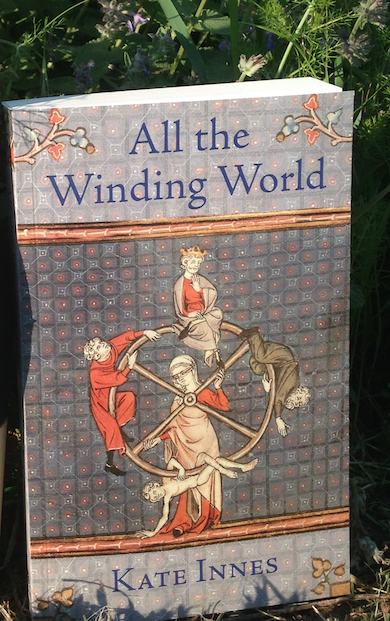 Not only did the reviewer, Misty Urban, say many lovely things about ‘All the Winding World’, but she also happens to have a PhD in Old and Middle English. To know that a medieval expert approved of the world I had created was immensely gratifying. I owe thanks to the Historical Novel Society who work hard to promote good historical fiction, and to their reviewers who voluntarily give up their time to help authors. They probably know that a good review to a writer is like Christmas Day to an eight year old. For all the happy excitement you have provided, I thank you reviewers everywhere!